I am reblogging this post and commenting: Here is a thoughtful and intelligent discourse on creationism, written by an evangelical Christian, Scott Buchanan, who has a PhD in chemical engineering. I’m reblogging his post from his blog, Letters to Creationists. At over 10,000 words, it’s long. But very interesting and well worth the read. By the early 1800s European geologists (many of them devout Christians) realized that the rock layers they observed had to be far older than the 6000 years allowed by a literal interpretation of Bible chronology. 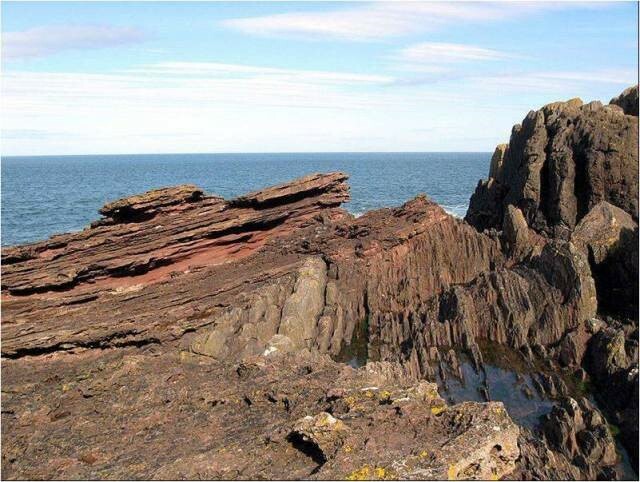 For instance, as discussed here , angular unconformities like that shown below could not been formed in the course of the one-year-long Flood of Noah. This entry was posted in Geology, Philosophy, Reblogs, Religion, Science Education and tagged Creationism. Bookmark the permalink.